to enjoy all the features of this site. 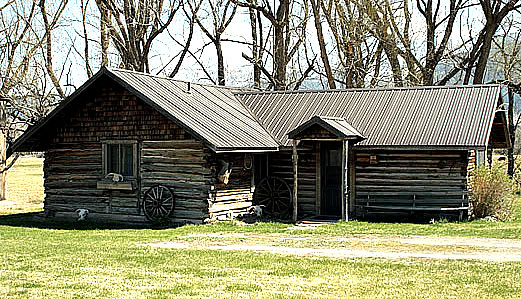 Make your Montana experience unforgettable: Be our guest in this quaint, rustic cabin sitting on the banks of upper Armstrong's Spring Creek. The fresh air, mountain views and peaceful setting will make you wish you never had to leave. 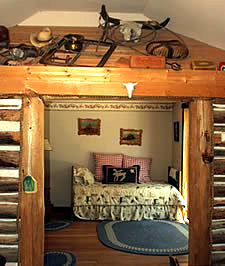 Enjoy this 1800's cabin with all the modern amenities blended with old-fashioned Montana decor and furniture. You'll love the seclusion and beauty of the area surrounding this fifth generation working ranch. "Life doesn't get much better when you can stare at the Absarokas against the big, blue, Montana sky. 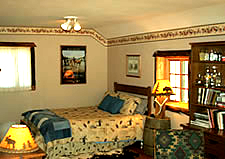 $125 per night, or $750 for seven days for up to two people. 50% deposit due upon booking. Deposit is nonrefundable within two weeks of reservation date. We gladly accept cash, cashiers checks or money orders. Call us at 406.222.2979 or email us!